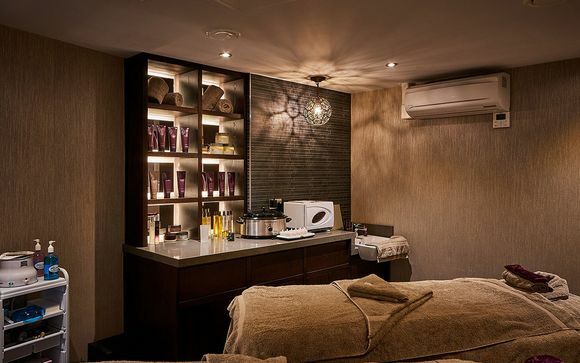 The hotel’s recreational facilities include the luxurious Shakina Urban Spa for the ultimate beauty indulgence plus a well-equipped hotel gym. The premium city centre location of the hotel offers everything from intimate canal side bars and restaurants on Brindley Place, to exclusive club nights, shopping centres, cinemas, theatres and great restaurants. A half-board stay includes dinner in the sophisticated 1565 restaurant, known for its grill and impressive signature chef dishes. 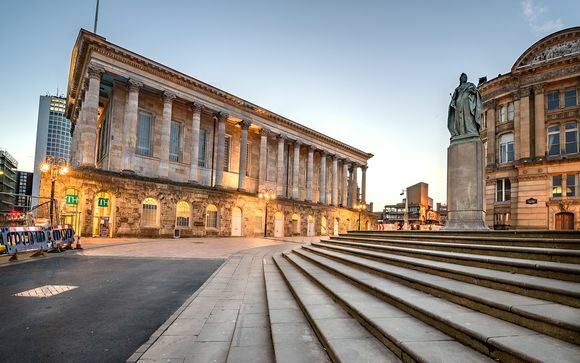 Birmingham is the poster child for reinvention, over the last decade this one industrial city has been revitalised with a sleek new shopping centre, beautifully restored Victorian buildings & a positive explosion of trendy bars & restaurants. Catch a modern day reinvention of Shakespeare plays at Birmingham Repertory Theatre, a West End hit show at the New Alexandra Theatre, or head to Birmingham Hippodrome - home to the wonderful Birmingham Royal Ballet. The story of chocolate from the Aztec times to present day includes a chocolate making demonstration and children's fantasy factory. Indulge your senses at this unique and educational multimedia attraction dedicated to Cadbury's chocolate. 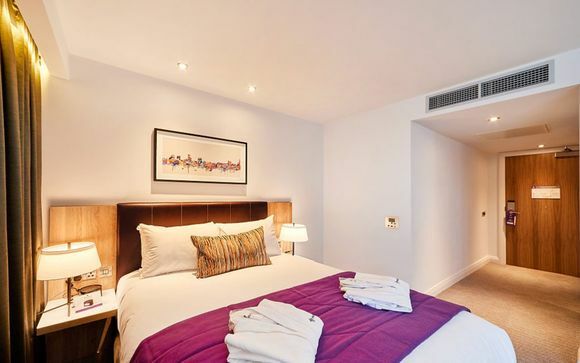 Park Regis Birmingham is a brand new upscale 4* luxury hotel offering 253 well-appointed guest rooms located on Broad Street in the heart of Birmingham's City Centre. The hotel offers a modern & contemporary ambience with a boutique feel for all guests to enjoy. 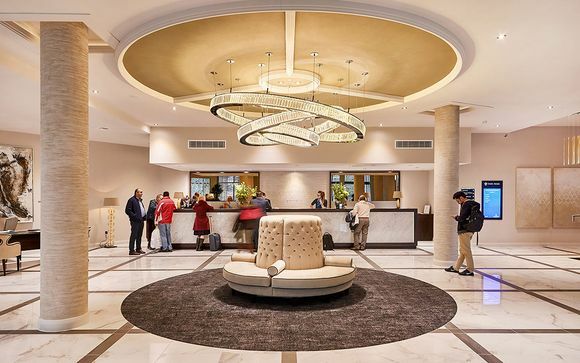 The immaculate foyer, the most impressive in the city, sets the tone for four-star luxury, with a colour scheme informed by golds, creams and greys. The Park Regis Executive room offers unique, spacious, luxurious and richly styled accommodation with modern furnishings along with an area to relax and take in the amazing views of the city and beyond. Executive rooms also come with access to the exclusive executive lounge, a stylish area which can be used for work or play, offering complimentary snacks and drinks. This offer is based on either a bed and breakfast stay or half-board (dinner, bed and breakfast) stay. Dinner includes a 3-course meal at 1565 each evening. Enjoy a fine-dining experience at one of Park Regis Birmingham’s top restaurant. 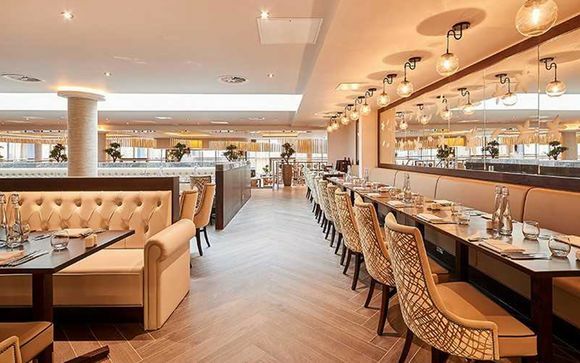 Offering two of Birmingham’s best and finest restaurants, the hotel's restaurants and bars delight any discerning traveller, as well as Birmingham city centre residents. From Birmingham’s best skyline panoramic view at Rofuto to a meal in the sunshine at the 1565 Restaurant & Bar’s terrace, an unforgettable experience is waiting. The Shakina Urban Spa is a relaxing retreat which is comprised of state of the art therapy rooms where the goal is total relaxation. So rediscover the pleasure of wellness treatments and pampering yourself. Distance from New Street Train Station to Park Regis Birmingham: 4 km / 10 min.